I have always been creating with food since I was a kid. My inspiration comes from what is growing in the garden, the forest, what is fresh at the farmers market, the fish that just came in off the boat, colors, flavors, moods and seasons. Food that both nurtures and is beautiful is very important to me. Meals that feed all the senses. I have created a wonderful variety of food experiences and I look forward to creating with your groups’ needs in mind! My background is in gardening, plants, art, dance as a healing art, and culinary arts. For the past 25+ years, I have been in service through food. I have cooked for many popular teachers and quite diverse audiences and settings of all sizes. I specialize in meeting a wide spectrum of needs within a group of vegetarian/vegan/raw to more conventional fare. I place a strong emphasis on Organic, Local and Free Range choices. The intentionality I bring to my service is to prepare delicious, healthy and nutritious foods in a peaceful and loving manner… to nourish more than just the physical body. 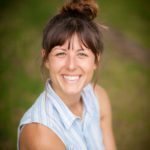 In 2010, I brought to life my own passion for wellness by founding Eatin’ Alive, a vibrant food company focused on plant-based grab-and-go products. Our products have found success through wholesale grocery and farmers’ markets sales. 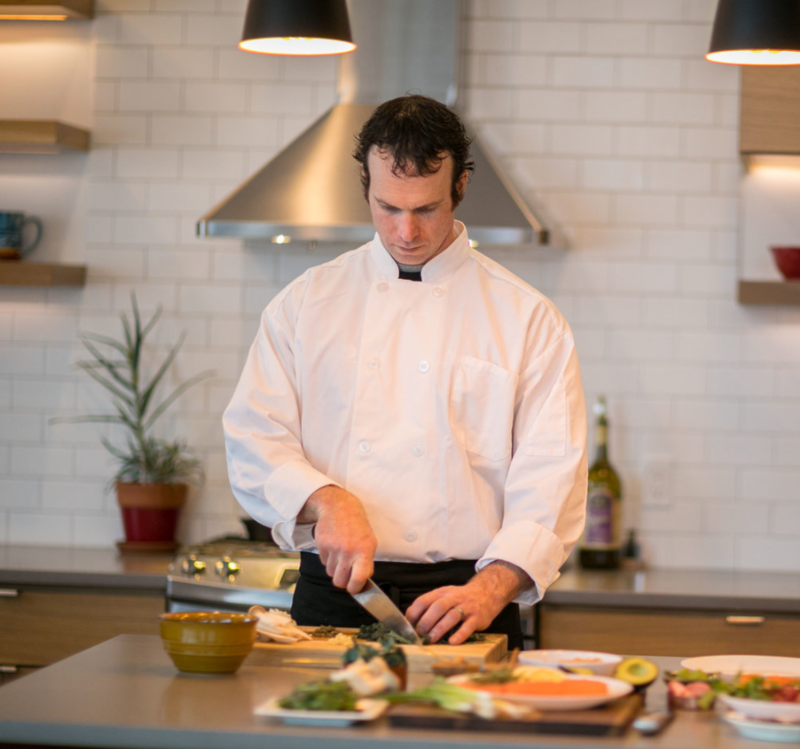 In tandem with running Eatin’ Alive, I also launched my career as a personal chef, nutrition consultant, international retreat caterer, and speaker. 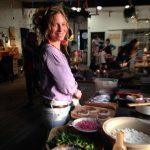 Over the past seven years, I’ve helped clients clean out their pantries, nourished yogis on a retreat from beachside to mountain-top, and worked with individuals to customize dietary lifestyles for each unique body and vision. LUNCH: Hummus Platter – hummus, seasonal herb pesto, almond/seed crackers, olives. Seasonal Soup – dal, curry, hearty vegetable chicken. Seasonal Salad – mixed greens, beets, carrots, and hazelnuts. Dressing: seasonal vinaigrette or cashew ranch. Collard Green Wraps – falafel with cashew dill sauce, masala with cilantro chutney, roasted sweet potato with salsa, black bean burrito with creamy chipotle sauce. DINNER: Wild Mushroom Burger – cashew aioli and fennel slaw. Grilled Citrus Salmon – wild salmon with citrus and dill. Crispy Polenta – cashew-garlic ricotta, blistered kale and sun-dried tomato puree. Mushroom Carnitas Tacos – creamy chipotle sauce, pineapple pico, corn tortillas. Masala Curry – kale, rice, coconut cream.